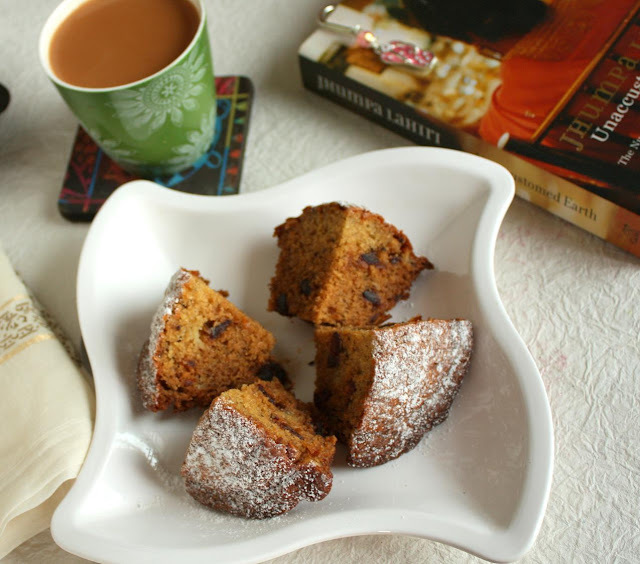 Cakes & More: Archana's Date And Banana Cake - A Guest Post..
love Archana's blog and this cake looks perfect. in our house bananas always are over ripe and now I have ne more recipe to use them up. Mindblowing and super spongy cake.Lovely guest post. I was searching for easy cake recipes to bake on my newly acquired convection microwave and stumbled upon this wonderful blog. This cake will be the first one I bake! Can you tell me if I need to bake it for the same time in the convection mode or do I change the time?